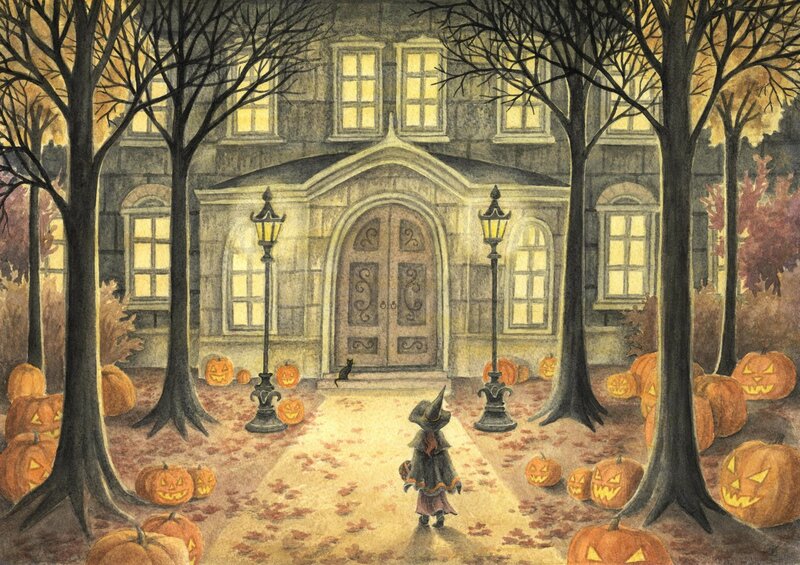 All Hallow’s Eve is the Eve of All Hallows Day or All Saints Day which is November first. The name Halloween has come to be the shortened version of All Hallow’s Eve. The celebration has its roots in the Celtic festival called Samhain ( pronounced sow-in) and which meant Summer’s End. This marked the end of the summer when all the crops had been harvested and gathered in for the winter. In more ancient times, Spring was marked by a celebration around May 1st, Beltane and the start of Winter was marked by Samhain. It was the time of the year when the nights grew longer as the days were more dark than light. This was also thought to be the night when the veil that separates this world and the next was at its thinnest. It was known as a “spirit night” in many traditions. Perhaps this is where the custom of wearing spooky and scary costumes comes from and trying to scare away the mischievous spirits. Trick or treating perhaps came from the tradition of beggars asking for food and offering prayers to the Saints in exchange. This was also the night to remember your ancestors and those of your family that had passed on. This was first celebrated as a harvest festival in more ancient times and then later the Catholic Church moved All Saints Day from May to November 1st to try to end what was termed a pagan festival. All Saints Day on November 1st has now been a traditional day to remember and honor the Saints. A contrast to how Halloween has been celebrated. Another interesting bit is the origin for the Jack O’ Lantern which comes from an Irish Myth I found and you can read more in detail here. The story goes that there was a miserly farmer named Stingy Jack who played a trick on the devil and was not allowed into heaven nor into hell. He was cursed into wandering the earth using a candle he put into a hallowed out turnip. The scary faces that were carves by the Irish people were to scare away Jack and other spirits that roamed this night. When the Irish brought the tradition, pumpkins were used as they were easier to carve. I have my bags of candy to set out tonight and my traditional Halloween movies to watch in between the Trick or Treaters so will be all set. My dog will be barking to try to scare all away and protect me from ghosts and goblins, I hope. So what are your Halloween or All Hallows Eve traditions? Courage may be the most important of all virtues…. Love history, thanks so much for sharing. It really is fascinating to learn how things are handed down.